President Hassan Rouhani said Wednesday that Iran was not seeking conflict with the United States in the Middle East and questioned why US forces remained in the region. President Donald Trump's administration has withdrawn from a nuclear deal with Iran, slapped back sanctions and vowed to roll back the Shiite power's role in the region including in Syria, Yemen and Iraq. 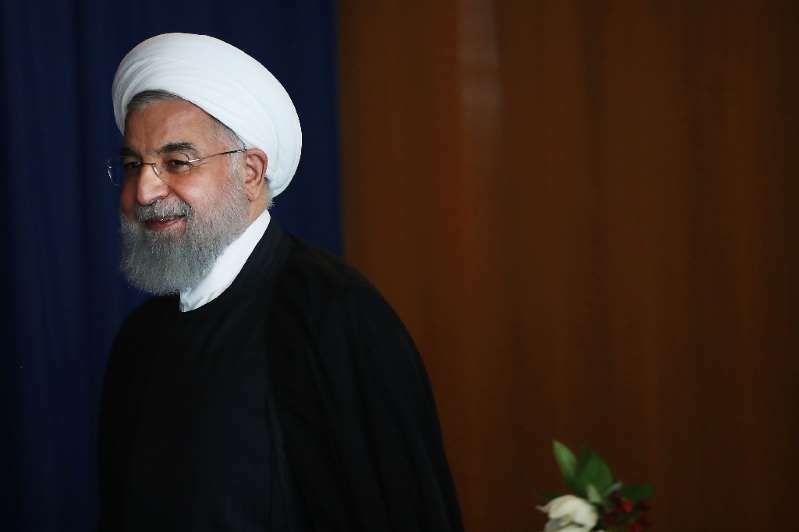 Attending the UN General Assembly, Rouhani defended Iran's military support for the regime of Syrian President Bashar al-Assad, who is a member of the minority Alawite sect, as a bulwark to defeat the Islamic State extremist group. "Our presence in Syria will continue for such time that the Syrian government requests our presence," Rouhani told a news conference. "We do not wish to go to war with American forces anywhere in the region. We do not wish to attack them; we do not wish to increase tensions. "But we ask the United States to adhere to laws and to respect national sovereignty of nations," he said. The Trump administration enjoys close relations with Iran's regional rivals Saudi Arabia and Israel and has warned Tehran that it is closely watching its actions. US Secretary of State Mike Pompeo, addressing a pressure group on Tuesday, vowed to act "swiftly and decisively" to any Iranian action that damages US interests in the region. Rouhani quipped: "When the secretary of state says we will be held to account, why have they gone to Iraq in the first place?"